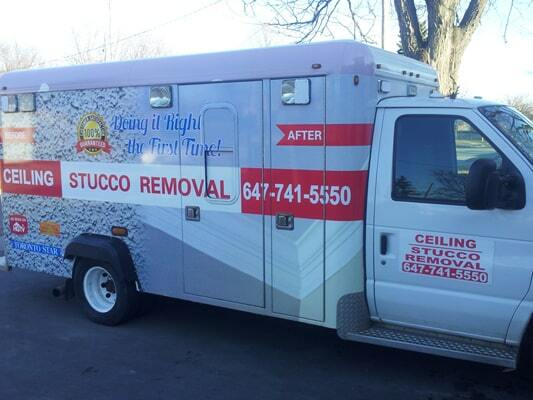 When it comes to popcorn ceiling removal , people think of only one thing. DUST, DUST,DUST!!!! It is definitely is discouraging, especially if you just finished painting your walls, you have a house full of furniture or you just have an affinity for a spotless home. Lets not also forget that some people have dust allergies or infants. 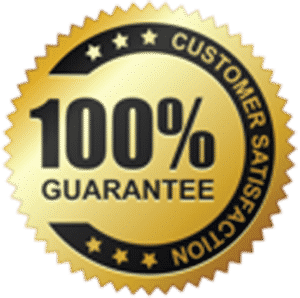 In general lines, popcorn ceiling removal in aurora is considered to be the most dreaded category in the house renovation business. That is, up until now……. 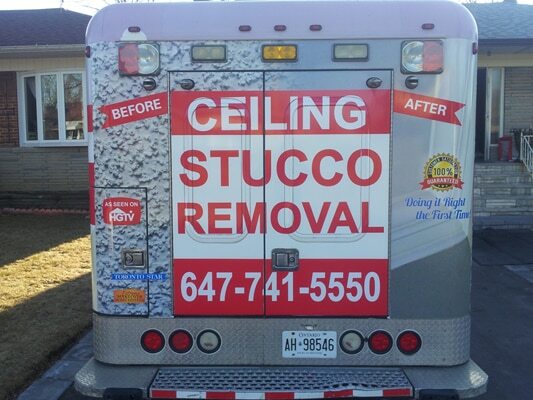 The CEILING SPECIALISTS have launched a new office division in Aurora that specializes in DUSTLESS POPCORN CEILING REMOVAL. All our state of the art dustless machineries are stored in the Aurora location waiting to serve customers in need. As our real estate market is growing rapidly, many people are moving more north towards King City, Aurora, Newmarket, etc. There are many new subdivisions being built as we get out of the Aurora region. This is where our dustless system comes into effect as hardwood floors in these houses are brand new, walls freshly painted etc. If you own or have just purchased a new home in these new subdivisions and are in need of ceiling stucco removal the dustless way, please don’t hesitate to contact us for a free in house consultation. We encourage our potential customers to come out to our Aurora division to see first hand our demonstration of how we use this equipment to safely and effectively remove all popcorn stucco from your home the dust free way. Please remember that stucco ceilings trap in all the dust allergens collected within the air keeping it there for you to breathe. It collects dust mites and is simultaneously a breeding ground for dust mites and spiders. Removing a popcorn ceiling, and replacing it with a smooth levelled surface is much healthier and more modern. Don’t forget, this can be done, DUST FREE!!!!!! !